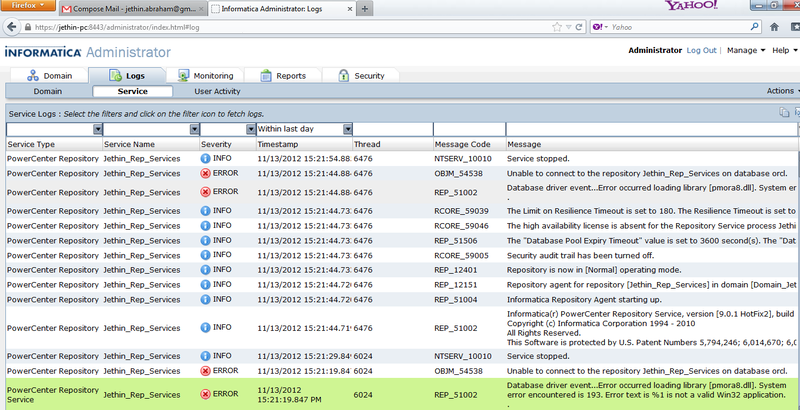 Database driver event… Error occured laoding library [pmora8.dll]. System error encountered is 193. Erorr text is %1 is not valid Win32 application. Now in order to configure the Power Center Repository and Integration Services, there are few things we have to make sure. However in order to configure the Power Center Repository Services we should also install Oracle Client 32 bit in the same machine. The reason is Informatica can talk to the server only through the 32 bit Client machine. a.1 When installing the client make sure you choose the second option Administrator to get the path to store the tnsnames. b. After installation copy the tns names. ora from the server to the client. c. Make sure that the Client path has been set in the PATH Varible in the Environment Variables. could you elaborate on how with pics? Please install the client and then copy the tnsnames from the server to client if you have both on the same system. Once these steps are done restart it. I do not have screenshots as of now but still if you have difficulties let me know. I have similar issue and not able to resolve, can you please help me with navigations and screenshots to do the resolution steps will be highly appreciated. 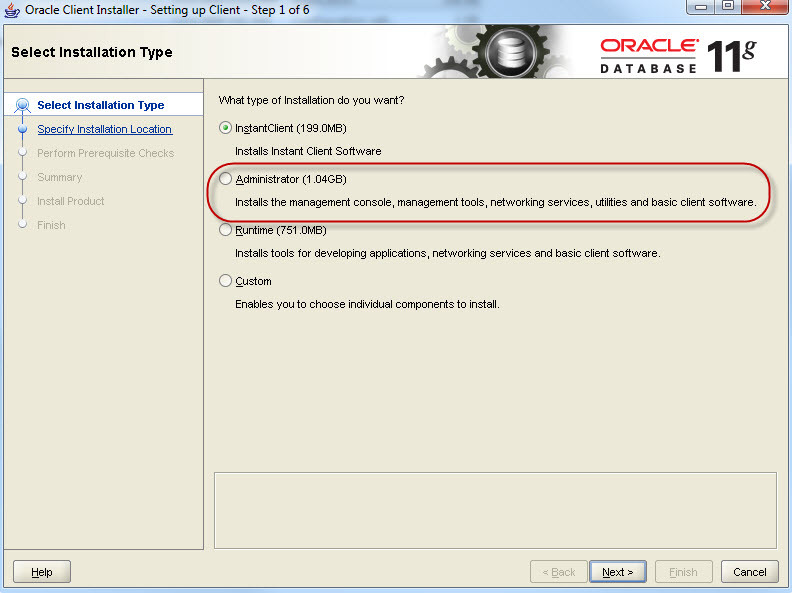 When you install Oracle Client make sure you install the Adminstrator option not the simple install(The 3 option). Once you do that you will get the same folder path as that of the server. The path in the client is C:\appclient\product\11.2.0\client_1\network\admin where you will have to copy paste the tnsnames.ora. Make sure that the client is set in the environment variable. If everything suceeds just restart the services and you will see the error will be gone. Hope I have made my self clear. If not please reply to this and I can help you out with this. Thanks for your quick response Jethin and appreciate it! I have installed Oracle 11g Express edition and I don't see any Administrator option and able to query the database using sql developer. Also I have downloaded MySQL and able to query the database and don't see any issues. I'm on EST, can I call you to discuss further. If not comfortable to share your Tel.No, please forward it my email id (cvrk09@gmail.com) and can call you based on your schedule to get this error fixed. As informed earlier I have Oracle 11g Express edition 32 bit installed on my computer and not working, I did not heard back any details from you, I was struck at point just and getting the same error logs as your screenshot, which I have explained earlier. Can you help me please. If you can share your contact details over to my personal email id (cvrk09@gmail.com) can contact you. Do i have to install oracle 64 bit client on the windows machine having informatica server. I have Oracle 32bit Server installed and PowerCenter Server is 64bit.. Win7 64bit.. I am currently downloading Oracle Client 32bit to see if that works..